Poultry owners are urged to avoid wild bird areas. 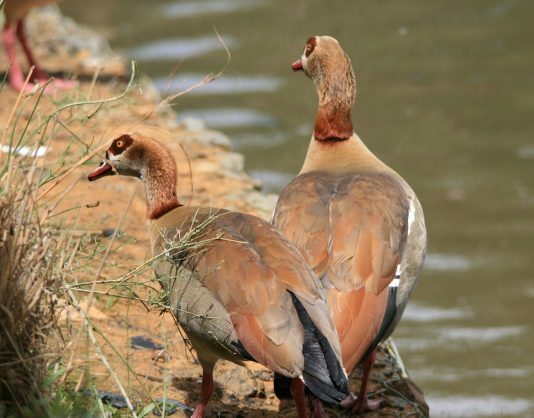 State veterinarian Dr Duma Mpofu confirmed that avian influenza (more commonly known as bird flu) was found in Benoni on August 28, and is only present in wild water birds such as geese, Benoni City Times reports. Dr Mpofu explained, however, that because Benoni had numerous waterbodies, birds were at an increased risk of being infected. “We only found bird flu at the Dunblane Equestrian Centre and, prior to that, in the Marister area just across from Dunblane,” he said. Mpofu stated that there had been no reported cases of domestic or commercial birds being infected. He also said it was difficult to say if normal birds such as sparrows and pigeons were carriers as they had not seen any affected by the disease. “We found a number of dead wild birds at the centre so we took two samples; they tested positive for bird flu. People who own poultry should avoid wild bird areas,” he explained. Mpofu explained that poultry owners and farmers could unknowingly introduce the disease to their poultry houses if they step in droppings left by wild birds. He also said poultry should be kept in an enclosure, especially if they are kept close to a wild, waterbird area in order to keep them from interacting with the wild birds. “South Africa has been struggling with bird flu for a while and that Benonians need not panic, but should be cautious and attentive to help eradicate the disease,” he said. According to a statement in a press conference on August 30 by the Minister for Agriculture, Forestry and Fisheries Senzeni Zokwana, bird flu was first detected in South Africa on June 22. He also said that regulatory bodies were searching for “scientifically sound and practical ways to bring the outbreaks to a halt and to minimise the effect on all poultry in South Africa”. Mpofu said it was up to every poultry owner to keep his or her stock safe as state veterinary services could not simply kill all wild birds.